The Portage Work Experience Program offers youth (between 15 and 30 years of age) four weeks of paid Group Based Employability Skills training followed by a 13-week paid work experience to assist in overcoming barriers to employment and develop a broad range of skills and knowledge. A goal of this program is to help youth participate in the current and future labour market as well as promote education and skills as being key to labour market participation. Eligible applicants selected for participation will attend sessions on topics including pre-employment preparation, essential skills, employment and job retention skills. Participants will also obtain skills and knowledge relating to interviewing, completing job applications, job searching, resumes, learning styles, workplace rights and responsibilities, Workplace Hazardous Materials Information (WHMIS), CPR/First Aid, and Food Handling certification. Following the completion of training, the participant will be provided with a full-time work placement for 13 weeks, compensated at minimum wage (MB) or greater, and will develop the necessary skills and knowledge to transition successfully to the labour market, or return to school. This year, from April 2018 through March 2019, the PLLC will support at least 28 youth participants from Portage la Prairie and surrounding area. 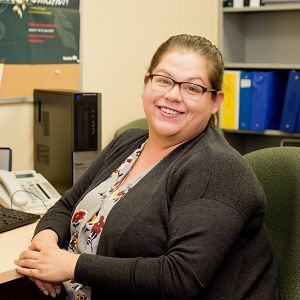 The Portage Work Experience Program is a program offered through the PLLC with funding made available from Employment and Social Development Canada. The PLLC is continuously looking for interested employers in the Portage la Prairie area to accept a participant in their workplace. We welcome participation from all employers in the Central Plains region. Each participant will be work-ready, but also closely supported by our Portage Work Experience Program Coordinator. The PLLC requires commitment from the employer to train, support and supervise the Portage Work Experience participant as well as notify our Program Coordinator of any issues or concerns with their employee. This work experience will serve to enhance the employability and occupational skills of the participants. Participants are required to attend their work experience for up to 8 hours a day for 30-40 hours per week for 13 weeks. Participants will be paid by the employer, and the PLLC will reimburse the employer based on timesheets and invoice(s). Although it is not a requirement, the PLLC urges employers to consider continued employment of the participant following the end of their placement. For more information or to register as an employer or participant, please contact the Program Coordinator at 204-857-6304 ext. 267.